Nicolas Winding Refn, the art house director famous for his violent yet arty movies like the Pusher and Only God Forgives, examines the existential journeys from killers to samurais in the underworld of Los Angeles. Where can you stream Too Old To Die Young? 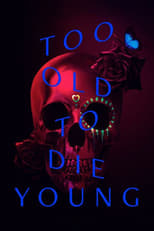 On 2019-06-14 Drama/Crime TV Series Too Old To Die Young first aired on Amazon. Written and created by Nicolas Winding Refn & Ed Brubaker, and produced by Amazon Studios, .